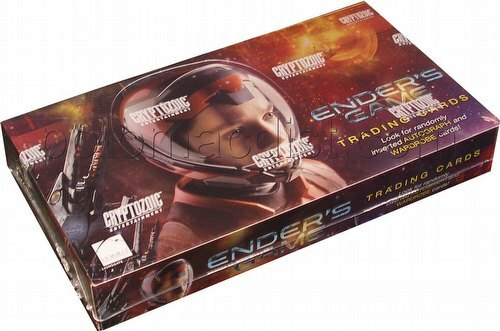 Each Ender's Game box will include 1 autograph card, 1 wardrobe or prop card, 2 International Fleet chase cards, and 2 Formic chase cards. Autograph signers are expected to include Harrison Ford, Asa Butterfield, Brandon Soo Hoo, Aramis Knight, Khylin Rhambo, Conor Carroll, Suraj Partha, Nonso Anozie, Jimmy "Jax" Pinchak, Andrea Powell, Caleb J. Thaggard, and Han Soto. The base set includes 72 cards.